Hi everyone! I’m back with another webcam project, as usual. :) I’ve been having a lot of fun making cool things using my webcam over the last couple of months. This time, I’ve created an obstacle detector which uses a cheap laser pointer and a webcam to determine how far an object is from the camera. I worked with my cousins, Anuj Karpatne and Prateek Raj on this project. There are all sorts of range finding devices available in the market like ultrasonic and infrared range finders. All these devices work well, but where portability and cost are of primary concern, this technique could be more desirable. h = the actual distance between the laser pointer and the optical axis of the camera. We used an experimental approach to determine the value of k. We wrote a simple program in C# to do the entire image processing work and for finding the position of the laser dot in the scene. We calibrated the apparatus by placing an obstacle at known distances from the center of the camera and noting down the number of pixels the laser dot is from the center of the image along the y-axis. After taking several readings, we obtained the value of k. By using this value, we were actually able to determine how far an obstacle is, from the camera. Question on the derivation of the distance equation. Was the idea behind that using tan(A/2) = opposite/adjacent and solving for inverse of adjacent (being the distance)? Where X/2 is equal to opposite? I made a silly mistake while writing the equation on my blog. I've edited my post..check it out..'X' and 'x' have been changed to 'Y' and 'y' because we were not measuring the number of pixels along the x-axis..we were measuring them along the y-axis. tan(A/2) = H/D (where H = half of the actual distance, along the y-axis, on the obstacle, in the camera's field of view. Since the optical axis of the camera is parallel the laser beam, the distance between the laser dot and the optical axis of the camera on the obstacle is also h which can be obtained from the pixels counted on the y-axis as h = 2yH/Y. Solving these equations, we get the working formula. Hi! I'm trying to make programs using a webcam right now, but I have no idea where to start. I'm using VB Express 2005, but I can switch and learn a new language if I need to. What language do you use for your laser programs, and where can I find info on programming using webcams? can you please send me the compiled project? Hello Ashish i have a project with an robot that must avoid obstacles. Could you sent your code to zlog2005@gmail.com to not reinventing the wheel. :) and also to test your code :P ? Thank you ! And Keep going on because is nice what you do. because very very nice . Could u tel me how to disassemble a laser pointer to mount it on my custom built RC car? First of all this is amazing what you've accomplished! My upmost respect for your work! Currently I'm working on a pan/tilt construction made from old HP-printer stepper motors. I've made it with a wireless control. So far so good, now I'm trying to boost it up a little bit. I could really use your project you've made here for the distance measurement. Could you please email me the project? Kind regards and keep up the good work!! Wow. Pretty cool. I assume this is a wireless camera, and all the calculations are performed on a "base station" pc? I am working on a robot using a OV6620 color cmos camera sensor hooked up to a Philips LPC 2106 micro with 128k flash and 64k ram. I am communicating via wireless RS232 link at 115.2kbaud back to a PC, where I am trying to get some useful code running in C#. I've played with a few sensors, and have landed on the laser pointer/ov6620 (filtering out all but red, finding brightest spot). Can you e-mail me your code? I will share in return when I am finished. Thanks again, and very impressive work! Yes..all calculations are performed on a base statjion PC. How can I send you the code? Send me an email and I'll reply back with all the details. amazing project. Is it possible, that you can send me your code,please? I wonder if placing the laser further from the camera would increase the long range accuracy. Please email me the compiled project. tats really great yar!!!!!! such a innovative idea,never&no chance.can i know wat is ur next project. Tats really great yar.UR PROJECT IS WONDERFUL.can i know wat is ur next project. hey i am able to control LEDs via parallel port now,.. i started this all after seeing your blog.. now i ve setup webcam, i know just C.. can i do this with C ? reply soon.. I was just working on the same project and found your site, however, I just can't figure out your equation. D = h / tan( y * k ), where k is a constant derived from experimentation, it's a relation between pixels from the center of focus and the angles for every known distance. The second is D = r / y, where r is a relation between pixels from the center and the distance, it's calculated through experimentation/calibration. This one is just the same as yours D = k/y. But, I tried your first version, and I can't make it work since it gives wrong results, also, I can't figure out how you got the first one and how you got to the last from there. Could you please give a little more detail on your math process? Thanks a lot, you have a great site with lots of useful/interesting information :). can i have ur email add? 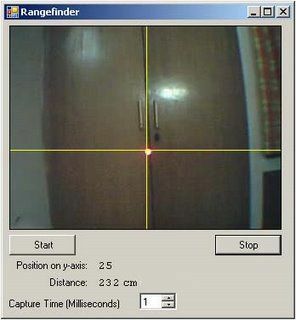 hi...m working on a project how to detect a object using webcam...m frm mech bckgrnd..can u help m to proceed further..!! im hester.and i am orking on a project that is so related with your new discovery so i hope you can really help me.i am thinking of a obstacle detector for blind people.so i thought of 'using' your idea then adding some alarm/sound whenever the detector is x-units away from an obstacle so that the blind person will be able to be alarmed about the said obstacle. and i would like to know which port you used to connect the remote to the PC. It would be really nice if u can explain the whole method of connecting the remote to Pc..
i'm studing about this your suject. Can you please send me the program to mail:bocautrang2583@yahoo.com. hey .. can u help me by answering a few ques... how can u find which pixel is having max intensity ??? Nice project. I'm really interested in integrating your project with my group's project proposal. 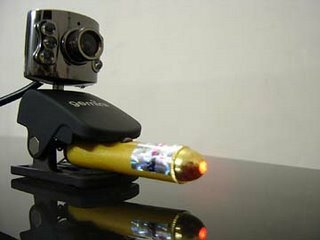 I'm actually planning to propose a security system that uses webcams and stuff that needs to track some moving objects. Can I have a copy of your program? Please send it to mayurisama@yahoo.com.ph, I'd be happy to add you on the credits page. I loking for something about lasertracking and I found your project: "Obstacle detector using webcam and laser pointer". It´s very interesting and I would like to try this project. Because I am a biginner in C# and programming at all. I ask for help me, please send me this project. Hi ashish, can you send me this program to my email? I find that this is a very simple program that runs a very complex form. It is very admirable. 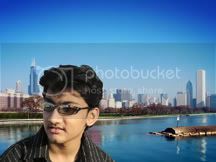 HI ASHISH , I'M SAKSHI ,I AM MAKING A PROJECT " FIRE EXTINGUISHER USING IMAGE PROCESSING". CAN YOU HELP ME WITH ITS PROGRAMMING AND ITS CIRCUIT DAIGRAM. Since I have to submit project report on this project by 4th of Sept. 2009 so will it be possible for u to send me the details as soon as possible..
can i have the code for the same please i am trying to do the same excercise but with more then 1 laser . 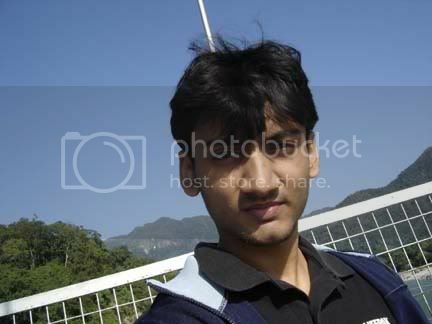 Hello Ashish, can you please send me the code for Obstacle detector using webcam and laser pointer my email id is vanekar01@hotmail.com. Could you also send the source code to me. Thats what im just searching for my similar project, can u please send me the files. You need to correct for the lens. In particular with such a simple thing as a webcam, which has a crap lens, after all. This correction will then eliminate a significant part of the calibration hassles, and extend the useful spacing between. It's a good start, though. Next to do the same thing for a line laser source, so you can get several points per frame. Pulsing the laser while the shutter is open will also give a shorter effective shutter time, and you can simply increase the pulse duration to increase the light accumulated in a frame when the distances are very large. Using an interference filter will also give significant improvements, and the bulk of CCD chips without built in NIR filtering are more sensitive to 900nm or so, outside the visible range (but still an eye hazard at high powers, so be sure to check the power you use). The addition of a second camera is useful in seeing the beam when it's been obscured by an object, and gives visual information in stereoscopy. Finally, if you project a grid and not a line, with a displacement that is diagonal, then you will be able to collect near field spatial information with greater resolution (the far field will be obscured as the lines become too small to distinguish from each other, unless you stick the lens on a voice coil to "scope" for the far field). I like this fantastic project, nice work Ashish. Great idea Asish. What is the resulution of this typ of measuring device? Can I measure parts of a millimeter from close distance? I measure the application of silicone gaskets, and need a no-contact method which will not damage the gasket before it has hardened... this may be adaptable! i'm doing the same project and i just completed the project(contolling CAR using Keyboard). Now, i lik to use wireless Cam and IR for my project. and also i lik to use sum sensors lik temp,Fire.. I'm doing a similar kind of project. I'm stuck with a problem, can you help me please?Can you detail how the detection of spot is made possible in your software?Did you process on RGB image? Is it by setting a threshold for any one of intensity/saturation/hue or for all the three? Please send me the source for the Laser range finder project, You have previously told me to modify another projects code to be able to do this, but I am a begginer at Coding, & only wish I had your knowlege. Please help me out with this source code. thank you. This is way cool! could you please send me the app? I would really appreciate it. hey Ashish, could you help me with the calibration part. I don't quite get the working theory behind this. In physical sense it uses the law of similar triangles. The formula is pretty straightforward. But what then. How is the relation between the pixel distance from center of image and actual distance related. How is the central pixel pointing to the farthest distance. I am searching for detailed explanation for this for quite sometime now and have also mailed the authors of related papers like Todd Danko. But they don't seem to take much interest in answering me. really it seems now that i was searching for you only..
remotely .like many websites ask us to open ur webcam and when we click tha button ,immediately webcam get on and the one sitting anywhere can peep into my room..
i m having a basic knowledge of c#,now plz tell me from where should i start. I'm Andrew from Chile. I'm a student of mathematical engineer and i'm working on a project to obtain points of a surface, and i have to implement sth to read distance. So, could you give the program please!?!?!? How you process the image? Did u you an openCv? can you share me your code? why the fcuk evry bdy asking for code?... cant see its clearly written logic.!!!! could you give it to me???? i liked your concept but i am looking for a different approach wherein there is an obstacle detection mechanism by the laser through a buzzer sound.Do you have any knowledge on this?..kindly give me the details if you do.thankyou. This is a very useful stuff... Could you please email me how did you make this work? I'm doing a robot project which uses webcam to capture video to connect wireless to my laptop.. I'm pretty confuse what should I do... This might be helpful for me. Please email me when you see this.. chanhocknam@yahoo.com Thanks alot ! and which languages are preferred to do same. Good work on your project. Can you send me the source coed, as i'm trying to do it. Thanks. Good work on your project. Can you send me the source coed, as i'm trying to do it. I like this project, nice work Ashish. Could you send me the code please..
can i have the code that you used on this proyect? i'd love try it out, i love your post btw. Great job there, I am really impressed by the work you're doing. I am starting a project with similar problematic. The problem is that I am not sure of the way I can detect the brightest point detected by the camera. Can you help with that? Controlling LED with Parallel Port! !